How many porta potties will I need? Our experienced customer service representatives will help you determine which units best fit your needs when you call. We can guide you through all the logistics of your rental including: location, delivery, set-up, budget, scheduled service, capacity, unit pick-up and other variables that should be considered when deciding on the number of porta potties you need. Over the years Porta Potties have advanced in many ways. Today, you can walk inside a luxury portable toilet and feel like you just stepped into a classy hotel. How long will my event last? How many people are expected to be in attendance? How much food and, especially, drinks will be served? Will we have special needs like access for the elderly or handicapped guests? Do we need a porta potty for multiple days? How often will the unit need to be serviced? For larger events, such as big festivals or weddings, the maximum allowable wait time for porta potty usage is about ten people. A good starting place is 1 portable toilet for every 50 people for every two hours of your event. When alcohol is being served, it's recommended that you increase the number of toilets by approximately 50%. It’s also a good idea to have at least one ADA (Americans with Disabilities Act) compliant handicap porta potty for every 200 guests. Since these units have so much space, they are also easy to move around in for parents with small children. 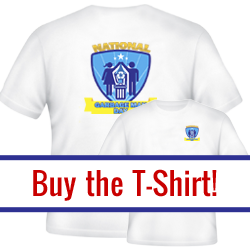 Call toll free (888) 695-2443 today. 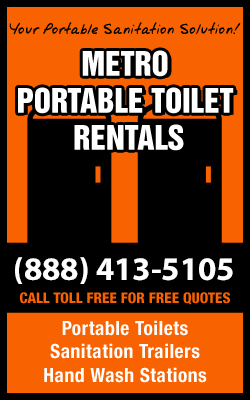 Portable Toilet Rental is known for providing our customers with the best service in the state. We offer the highest quality and best selection of porta potties, dumpsters, showers and sinks, and restroom trailers in Pennsylvania. Taking care of your specific needs is our top priority. We have both short and long term rental solutions. Our full compliment of products and services are completely ready for your next event, wedding, construction job, golf tournament, festival, or real estate construction needs. Just call us today toll free at (888) 695-2443 so we can help you make the right decision for your event. We have solutions for all of your portable sanitation needs. Portable Toilet Rental has private and roomy porta potties for every occasion you’re planning in Pennsylvania. Planning special events takes a lot of time and effort. You've got so much manage and logistics to juggle, so let us take the stress away from this aspect of the planning process. We have flushing units with individual toilets and sinks as well as hand wash stations and hand sanitizers. Our porta potties are always delivered to your location, complete with all necessary features and accessories. You're sure to get the best customer experience when you use our local preferred vendors in Pennsylvania. Using a local provider guarantees your porta potty will arrive promptly, be top quality and comply with all local regulations and requirements that might apply. The restroom will also be regularly serviced, as needed, and your dedicated provider will be easy to contact and available quickly. Portable Toilet Rental pre-screens all the listed local vendors to look out for you. We do our homework so you don’t have to. Get in touch with our preferred local vendor in PA. We are committed to giving our customers exactly what they deserve, the highest level of service available! Portable Toilet Rental Recycles Your Waste! It's true! Portable Toilet Rental believes in responsible stewardship of our environment. The process of removing contaminants and wastewater from your porta potty or sanitation unit includes a chemical, biological, and physical procedure. Our goal is to reintroduce environmentally-safe liquid back into the fluid waste stream while making solid waste sludge suitable for disposal or reuse (commonly as fertilizer in agriculture). Utilizing our advanced technology, it's now possible to re-use processed sewage liquids for drinking water by taking the waste through the proper process. With an ever growing global population, Portable Toilet Rental is looking for solutions to one day bottle the same water that is removed for all of their Portable Sanitation Units nationwide, and ultimately globally. 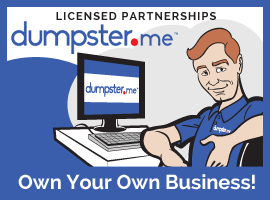 Portable Toilet Rental has partnered with Dumpster.me, the United States' only Nation-Wide Waste Provider that services all 31,000 cities. Dumpster.me offers all types of Roll-Off and Commercial Dumpsters, so pairing or combining special event services is easier than ever. Often one vendor can only supply one or the other of the temporary rental services needed for a wedding, party, concert or any other special event to be a success. 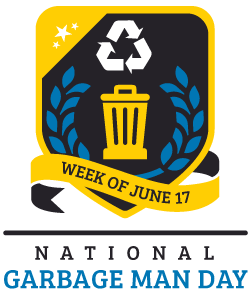 One industry where this trend is especially present is the dumpster industry. In the past dumpster rental companies only offered services related to waste management, dumpsters, and roll off containers. 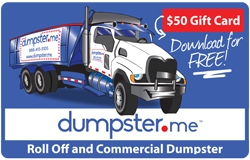 This partnership with Dumpster.me has largely revolutionized the waste industry. 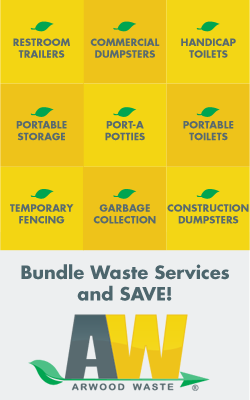 You can order your dumpster and porta potty online 24/7 by visiting www.dumpster.me. When you need to rent a porta potty, restroom trailers, portable showers, portable sinks, or dumpsters you want someone who can help you immediately. Our experienced local preferred vendors are ready to help you today in your hometown! Copyright © 2019 Portable Toilet Rental. All Rights Reserved.